Memorial Day is a fun holiday that is typically spent at cookouts, hosting or attending parties, poolside, or lounging in the backyard. 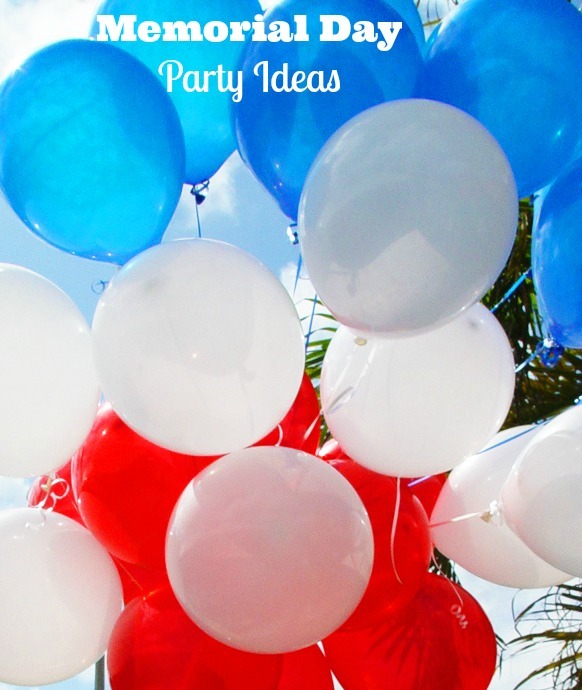 Here are Memorial Day party ideas to get your family and friends moving with several fun activities for Memorial Day as well as some great suggestions for Memorial Day snacks. These Memorial Day party ideas are shared with us today by Dyan Damron of Coach D Consulting which offers health, nutrition, and exercise advice. 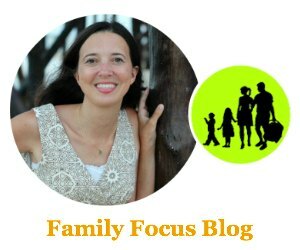 One of her main focuses is getting children and families healthy. She takes a “whole-istic” approach to a healthy life and comprehensive wellness. Here are ways you can burn some calories while also commemorating the heroic men and women who bravely fought for our freedom. 1. Get ready for your cookout or party by mowing the lawn – use a push-mower & pull weeds by hand. You’ll improve your appearance as well as your yard’s! 2. Most pools will open this weekend, so jump right in. Swim with your kids, or swim alone. It can burn more than 500 calories an hour. Even if it’s not proper (or pretty) form, just make sure you’re not resting on the pool floor & you’re moving both your arms & legs. 3. Play tennis or badminton. Set up “court” in your backyard or even in the pool. You’ll burn calories while having fun & developing teamwork among your family. 4. Play old-school games with the entire family. Remember how much you used to enjoy Red Rover, Duck Duck Goose, Hide- &-Seek, Hopscotch, Leap Frog, chasing bubbles, and Three- Legged Race? They’re enjoyable, engaging, & high energy. 5. If you have enough people, play kickball, volleyball (even with a beach ball), baseball, touch football, or soccer. Everyone gets exercise & kids can develop eye-hand coordination as well as leadership skills! No matter what you do, don’t just sit. Lawn chairs are uncomfortable & leave embarrassing marks on the backs your legs. So, get up, move, have fun, & celebrate our military. 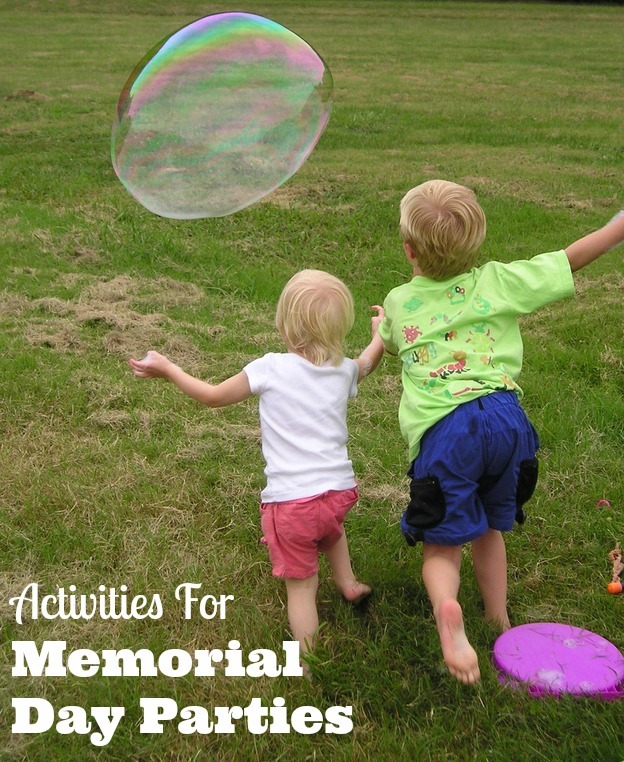 I hope you enjoyed these Memorial Day Party Ideas for active activities for Memorial Day! Typical Memorial Day snacks consists of hot dogs, deep fried potato chips, high-fat pasta salads, baked beans drenched in sugar & bacon, & calorie-loaded brownies. But you can still enjoy the holiday – including the summertime spread – while staying beach-body ready. Here are some ideas for making the Memorial Day snacks delicious without destroying your waistline. 1. If you’re attending a party, offer to take a dish. You will be helpful while also ensuring you’ll have a healthful snack option. 2. Make coleslaw or potato salad by dressing with spicy mustard, extra virgin olive oil, vinegar, salt & pepper. Also use this dressing in deviled eggs. This is much tastier than mayo & won’t spoil in the heat. 3. Use shredded carrots & broccoli stems, green & red cabbage, red onions, even sliced raw mushroom in your coleslaw. Vary textures & colors to enliven the visual & flavor appeal. 4. Leave skins on potatoes when making potato salad. Most of the nutrients & fiber are contained in the skins. For best taste & appearance, opt for red skin, new, or baby potatoes. 5. Make baked beans with one part canned baked beans with one part canned black, pinto, or white beans. This will perk up the taste while limiting the sugar. When baking, top with deli ham or turkey rather than bacon. 6. Try grilling lean meats and veggies for all the flavor and less of the fat. Here are some more fun grilling ideas. 7. For dessert, go for fruit. It won’t spoil & it’s colorful & eye-catching. Plus, berries & melon with high water content will keep everyone feeling full longer. Buy whatever fruit is cheapest – it means it’s in season & most flavorful! Remember that Memorial Day is a holiday & we should celebrate, so allow yourself to have a treat, just don’t overdo it. 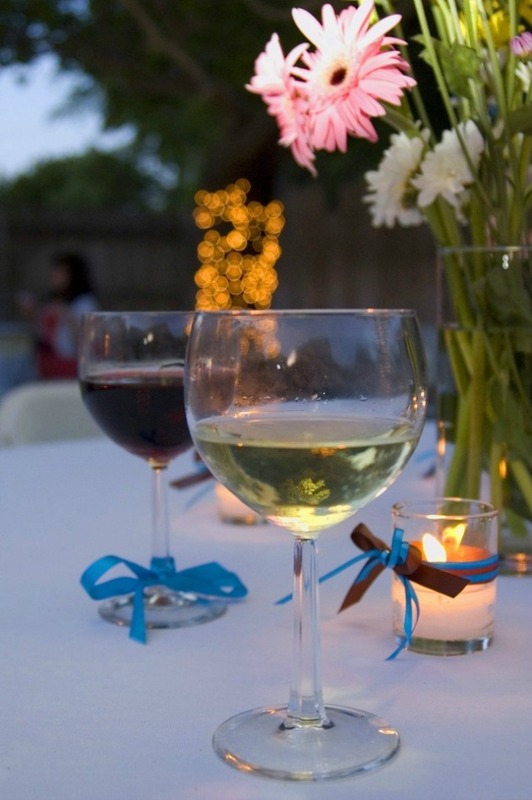 I hope these Memorial Day Party Ideas help you plan a healthy, fun get together. What are your favorite activities for Memorial Day? What are your favorite Memorial Day snacks? If you want more Memorial Day Party Ideas, check out this Pinterest Board.